Cluver Markotter Incorporated made several new appointments this year and is excited to share it with our clients, friends and colleagues. Marike Koen and Brendon Hess were appointed as directors. Marike (BA LLB) and Brendon (B. Comm. LLB) studied at Stellenbosch University. 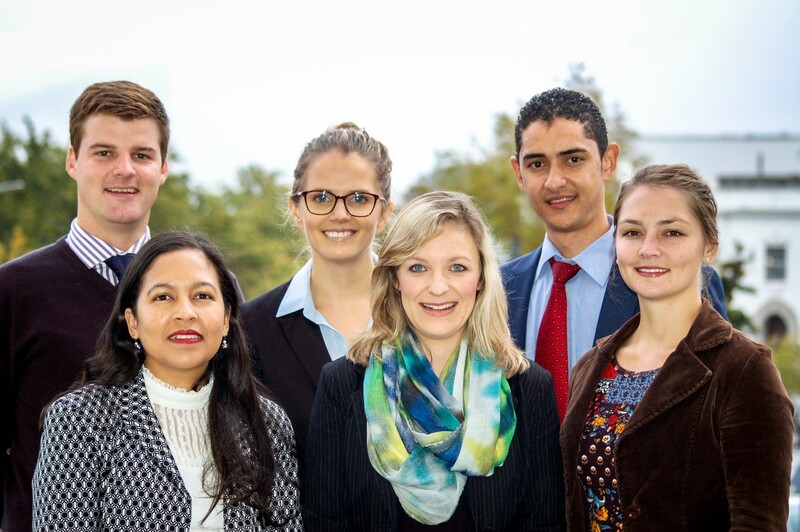 Their careers at Cluver Markotter commenced as candidate attorneys in 2012 and 2011 respectively. Marike and Brendon practises in the firm’s Litigation Department. Brendon’s practice focuses on commercial litigation, which includes contractual and delictual dispute resolution, Local Government litigation and matters relating to consumer protection legislation. Marike specialises in general commercial litigation (including liquidations and sequestrations) and family law litigation (including children’s law and maintenance matters), in both Magistrates’ and High Courts. Sherine Roberts joined the firm as Senior Associate on 1 May 2016. She received her LLB degree from University of the Western Cape in 2004. Sherine joins the firm’s Conveyancing Department where she will practice as a conveyancer and notary. As mentioned in our March newsletter Retha Oosthuizen, Herna Beviss-Challinor and Marnes de Wet were appointed as associates earlier this year.